Are you looking forward to making a good career in marketing? Or want to promote your business online by zero down your expenses? Or are you a retired person or a working professional looking forward to making a decent income online? Then you all have landed here in the very right place. Well, you all must be aware of this fact that we are now living in the age of digitalization where everything in our life we are doing it online. So the internet has been part of our daily life, and thus digital marketing is the latest upcoming marketing and business trend nowadays, and even our central government is encouraging digitalization in the country. 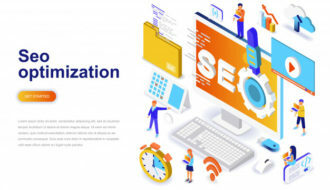 So for making a good career here, you need to learn all the latest digital marketing trends all practically, and for that, a reliable and the most reliable SEO training course can help you. Well, precisely here comes W3webschool your one-stop destination for learning digital marketing from all leading industry professionals where you are taught all the latest trends from the industry as a leading digital marketing training institute in Kolkata. Therefore, let us have a look what are the most recent digital marketing trends in this year 2018 that is going to dominate the SEO Industry in coming days. Video Marketing – Videos are the latest and one of the foremost important online marketing trend that is going to rule the web world for the coming years. It is because videos always create three times better attention in the minds of your target audience regarding your services or products that you intend to promote or sell. So creating stunning looking and professional, eye-catching videos can often fetch you maximum leads and traffic to your blog. Whiteboard animation business videos are the latest trend going on right now in Video marketing. At W3webschool you will learn various methods of creating such appealing videos and then a way to rank those videos on top of Google SERPs for better lead and traffic generation for your business. Mobile Marketing – Well, as per the recent study various web marketing research firms, today 70% of web traffic globally used to comes from Smartphones and tablets. So, for this reason, Google has been focusing more on its mobile search volume, and thus for that, it has been a mandatory ranking factor to have your site fully mobile responsive for getting ranked in Google. Now the latest inclusion in this regard is the mobile-first indexing, the latest algorithm update from Google. Well, here, Google will be indexing all mobile optimized website first. Here, micro-moments will be driven by mobile and mobile-first websites will be pivotal in offering instant information to viewers in Google SERP. Voice Search Optimization – Well, the year 2018 will be going to be the year for voice search rather than traditional text search. Research shows after surveying people from the US that people feel more comfortable in speaking the search term to Google rather typing the hell of that term. And so Google is giving more focuses on voice search from this year where audio podcasting content will get more relevant to Google SERPs. So being a content writer/SEO professional one need to use more common terms in your website content that most people speak during conversation rather using any high-quality English vocabulary that hardly any common man can digest. 2018 To be The Year for Instagram– Among all social media marketing sites, Instagram has emerged as the fast-growing social marketing platform across the web community. Being a mobile application itself Instagram has been getting maximum mobile traffic by having 500 million daily and 800 million monthly active users. So all these have made Instagram be the hottest place for web marketers across the country to promote their services and products. Here, you can only upload Videos and pictures on Instagram by putting Meta descriptions for each photo and video you upload on Instagram. Facebook Messenger Marketing – Well, another latest inclusion in this regard is Facebook Messenger Marketing. As per a most recent study, it has been shown that Facebook messenger is going to get three times better response rate than emails. And so Facebook messenger has gained such massive popularity among the web crazy audiences. As one of the premier digital marketing training academy in Kolkata, we will be teaching all these steps to our students in our course. So there you have it, if you want to know more regarding our course then you are welcome to visit our website https://www.w3webschool.com/digital-marketing-training/ or simply visit any of our campuses for direct interaction.